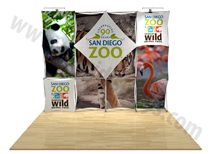 The Geometric 3D Snap displays are a great option when you want to use different graphic images and text to market your brand. 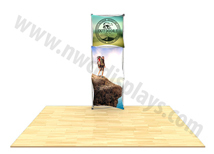 Each kit offers a different look or style that can be changed from show to show! 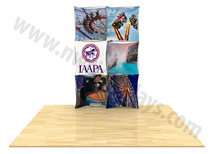 Each kit is customizable with an infinite amount of configurations available! 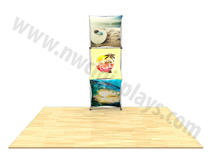 The graphics come preattached to the frame so the display is ready for use right out of the box! 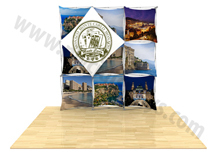 The 3D Snap displays give a clean, professional look with a creative and unique twist! 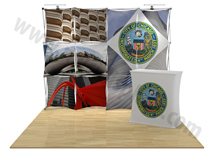 Contact us today to design your next booth! 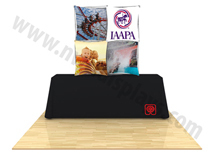 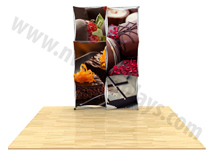 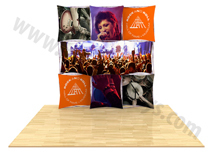 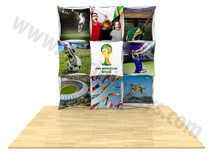 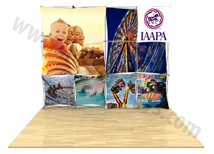 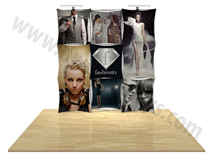 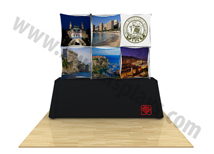 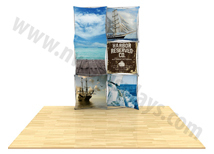 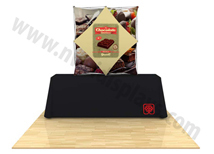 The 3D Snap are the most affordable 3-D tension fabric displays available. 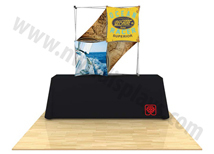 The frame is a lightweight aluminum with strong magnetic connectors giving the frame extra durability. 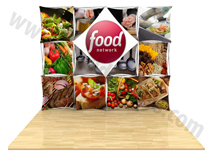 The graphics are interchangeable and each display can be customized so marketing your company and brand has never been easier giving you a maximum return on you investment! 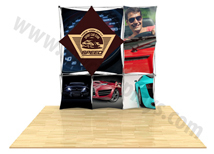 Changing the graphics can be done in a snap. 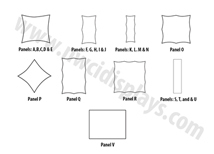 Each panel has holes sewn into each corner for easy mounting and positioning on the frame. 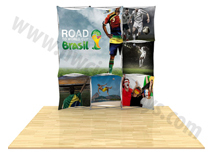 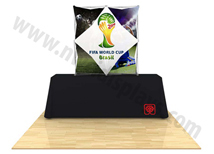 Each kit includes the frame, set of graphic panels and a carrying bag. 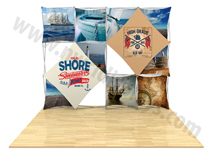 The 3D Snaps are the way to go as they are portable and unique order yours today!